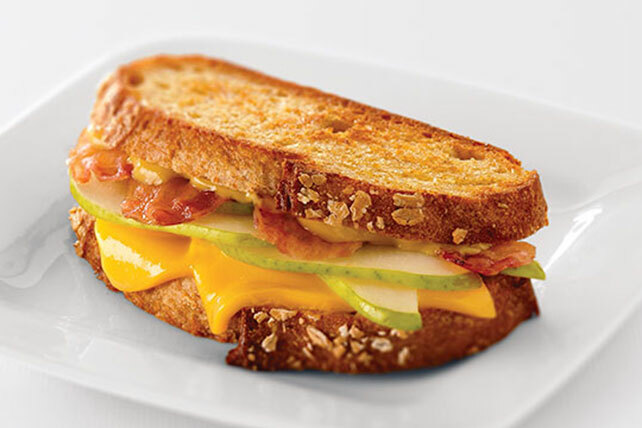 Bacon and cheddar and pears, oh my! This Savory Honey Dijon Melt for one is a celebration of all kinds of awesomeness. Spread bread slices with mustard; fill with cheese, pears and bacon. Spread outside of sandwich with butter. Enjoy with a cold glass of fat-free milk and the remainder of the pear.